Home / Yoga / New to Yoga / History of Yoga / Were Other Cultures Aware of Shiva? Are other cultures aware of Shiva? Sadhguru explains how, in some way, the mystical sciences have been present in every culture. Q: Why do other cultures not speak about Shiva? Sadhguru: There was no enlightened being who did not talk about Shiva, in the sense of a boundless dimension, or something beyond physical nature. The only difference is they may have expressed it in the language and symbolism of their region. The word “Shiva” literally means, “that which is not.” Today, modern science is proving to us that everything comes from nothing and goes back to nothing. The basis of existence and the fundamental quality of the cosmos is vast nothingness. The galaxies are just a small happening – a sprinkling. The rest is all vast empty space, which is referred to as Shiva. That is the womb from which everything is born, and that is the oblivion into which everything is sucked back. Everything comes from Shiva and goes back to Shiva. Another dimension of Shiva is Adiyogi, the first yogi, who opened up the incredible science of yoga for humanity. The yogic culture moves seamlessly from invoking Shiva as the basis of creation to invoking Shiva as the first yogi. Not at all, because once yoga or ultimate union has happened, there is no longer a distinction between ultimate reality and the one who has experienced it. We arrived at the sound “Shiva,” based on a very profound understanding of life. We know the sound Shiva can do incredible things to you. If you are receptive enough, the sound can be explosive – just one utterance will explode within you in such a powerful way. When we say “Shiva” we are talking about directing the energy in a certain way, in a certain direction. The sound “Shi” in Shiva fundamentally means power or energy. In the Indian way of life, we have always symbolized the feminine as power – Shakti. Somehow, the English language found the same word to describe the feminine as “She.” “Shi” fundamentally means Shakti or energy. But if you just go on doing too much “Shi,” it will take you off-balance. So “Va” in the mantra is added as a damper to slow it down and keep the balance. “Va” comes from “Vama” which means mastery. So in “Shi-va,” one energizes it and the other balances or takes control of it. Undirected energy is of no use, it could be destructive. So when we say “Shiva” we are talking about directing the energy in a certain way, in a certain direction. In India, we had an atmosphere to create a scientifically structured language that represents an entire system of sounds. In this culture, we did not attach too much significance to the meaning, but we attached enormous significance to the reverberations that we generate. Meaning exists only in human minds – sound exists in the universe. Because of this, we evolved language in such a way that it is first of all about sound – you can attach meanings to it later. We arrived at the right kinds of sounds, and we described everything the way it is. But in every other culture also, there are instances where they talk about similar things. 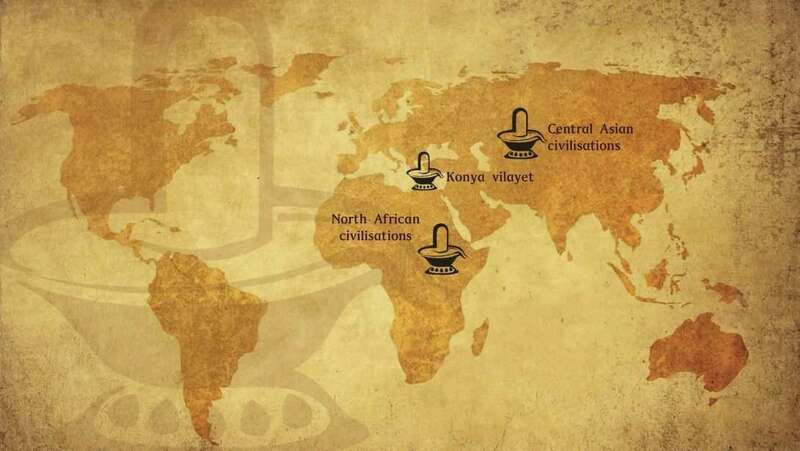 However, because of very aggressive ways of spreading religion around the world in the last 1500 years, most of the great cultures of the past, like the ancient Mesopotamian civilization, the Central Asian civilizations, and the North African civilizations, have disappeared. So it is not very visible anymore, but if you look deeper into history, it was everywhere. For example in Konya, Turkey, the place where Rumi lived the last part of his life and died, there is a mausoleum with his remains. When I went there once, I saw a large linga lying outside. It was damaged at one end, but still alive at the other end – after maybe 2500 or 3000 years. Another example is Delphi, Greece, which was known as the Navel of the Earth because a manipuraka linga was established there. It was consecrated about 4200 years ago. This linga used to have a mercury core. When really bad things happened there, the mercury dissipated. So, in some way, mystical sciences used to be present in every culture. But in the last 1500 years, they were largely lost in other parts of the world. Editor’s Note: “Shiva: The Ultimate Outlaw,” an ebook filled with rich graphics and wisdom from Sadhguru that reveal many virtually unknown aspects about the being we call Shiva. Encounter Shiva like never before! Download the Ebook.